When you are left without any time on your hands or are simply in a style rut, let Edie step in. Whether you are facing a career change and need a new style, need fashion advice for a big event, or are looking for an overall makeover, let Edith Henry take you to your next level. She will teach you to shop for the best finds and help show you how your closet can work for you. In a busy world, it is important you take care of YOU. Let Edie help you to let the best version of yourself shine through. Get to know your body shape and flaunt it with your new style! During the initial consultation, you and Edie will discuss your Style Profile, Client Questionnaire, and style goals and dilemmas. 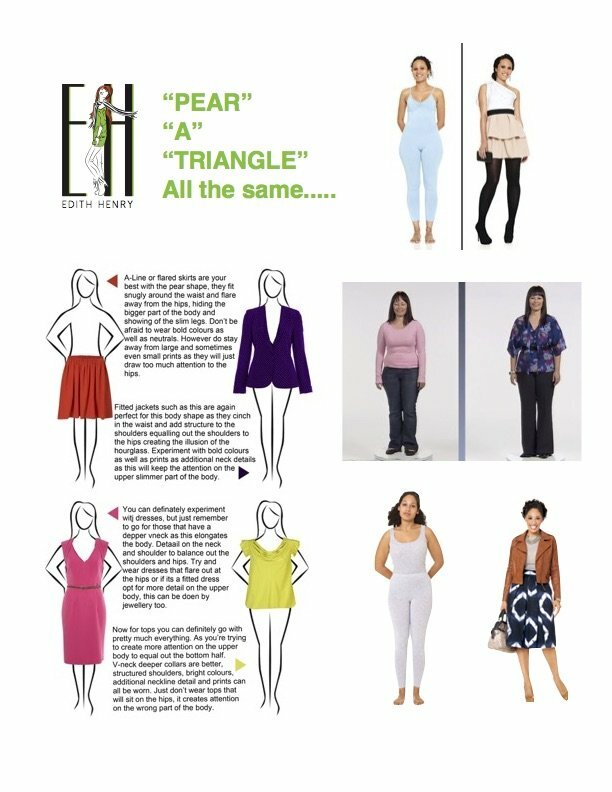 She will provide you with a PDF guide that suggests styles that will most flatter your body type. Do you feel as though you have a closet full of “nothing to wear” or pieces that have been collecting dust because you just don’t know if they look right or what to do with them? How about wearing the same pieces together all the time, because it’s easy? By this step, Edie has already familiarized herself with your style profile and has an idea of your lifestyle, and your style goals. During this process, she will work with you to detox your closet by assessing what should stay, be donated or sold and what should be altered. Also, she will compile a list of items that she recommends to complete your “working wardrobe,” which she says is a wardrobe that works for YOUR life. We’ve all had that moment when we are staring at the clothes in our closet and feeling overwhelmed when trying to get dressed for a special event or your daily routine. Edie will join you in an adventure into your closet to break down the barriers between you and your clothing. It is time we uncovered what you like to wear, what you want to keep and what new items you need to complete your wardrobe. Everyone Edie works with feels rejuvenated after a closet detox, and (bonus!) we can go shopping afterward to find your next favorite blouse. This is an important step in your journey to defining your style. Let Edie be your guide! Now for the fun part! Bring your style profile and style goals to life with Edie on a shopping trip. This is a no-stress, style wisdom-filled guide to shopping moving forward. Edie shows you the tricks of the trade and works within your budget to make your style dreams come true. Having complied a list of recommended pieces, Edie will go ahead of you and pre-pull items that fit within your budget, work with your existing wardrobe and most importantly, that fit and flatter you. All you have to do is show up, try on, and purchase what you like best. If you have a list of favorite stores or inspired items, Edie can help navigate the best fashion finds within your budget. Let her whisk you away! This will be a shopping trip to remember. Your shopping bags are full and your closet is detoxed. 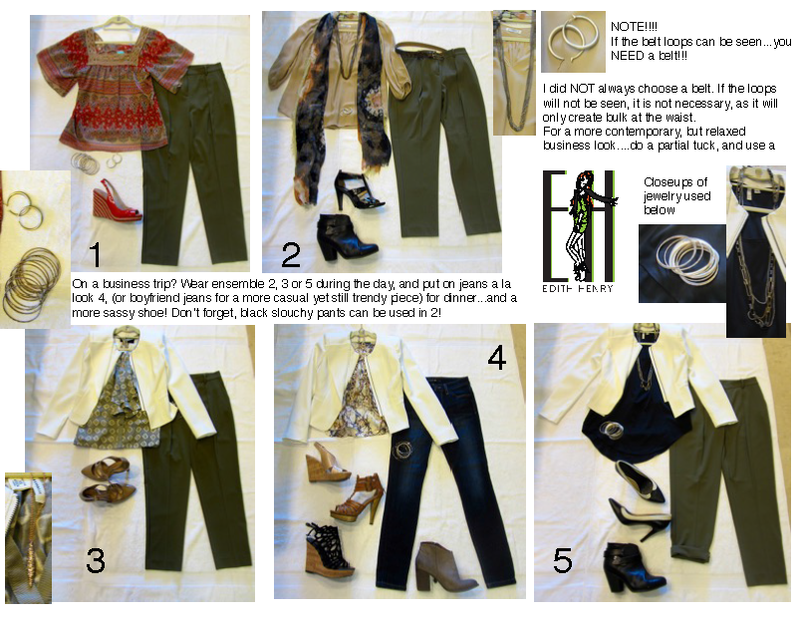 Now, how do you mix and match your clothes and use what you’ve learned so far to make the most out of your wardrobe? That’s where the style session comes in. Edie isn’t done working her magic yet! She will return to home with you to get to the drawing board and create multiple outfits with your new finds and existing pieces. You can then shop your closet and be confident that you will be styled appropriately for any moment in your life. This is where the real discovery starts to come to life. Working with Edie, you can answer any questions you might have and try on different outfit combinations, mixing old and new to make the most of your wardrobe! Never leave without a takeaway! Didn’t take notes during the style session? Not to worry! During the style session Edie will have photographed the outfits she created. She will return to her studio and produce style sheets that will be delivered to you via PDF booklet. These sheets will be an easy guide for you to reference and easily accessible online. No more struggling with what to wear. Just look at the sheet, pull that complete outfit from your closet and GO! *Specialized services for Travel Style and Big Night out, as noted in their packages.